CineAsia 2017/Hong Kong (December 10, 2017) – Christie today introduced the Christie CP4325-RGB pure laser cinema projector, which delivers a premium movie-going experience to mainstream theatres. 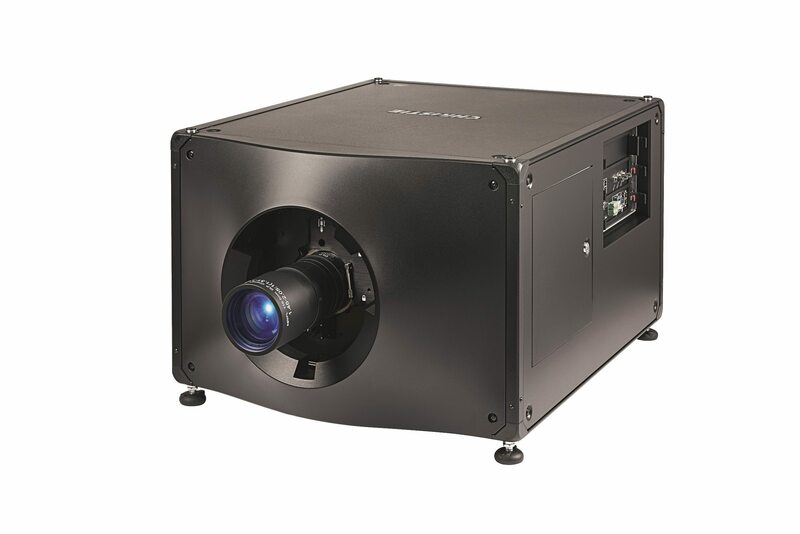 Featuring CineLife™ electronics and RealLaser illumination, this compact, all-in-one DCI-compliant projector excels in image quality and operational lifetime, while providing a low cost of ownership. With the CP4325-RGB, exhibitors can fill their auditorium seats by attracting audiences with incredibly colorful and detailed, true-to-life images. “HOYTS Cinema Technology Group has always prided itself on introducing technologies that deliver the ultimate visuals for the best cinematic experience, witness our installation of the Christie CP42LH 3DLP 4K RGB laser projector for our 390-seat “Xtremescreen” premium auditorium in October 2016, at the HOYTS Chadstone complex,” said Adam Wrightson, General Manager, HOYTS Cinema Technology Group. “Given Christie’s pedigree and our reputation for innovation, it’s no wonder that HOYTS has already ordered several units of the Christie CP4325-RGB projector, which leverages the many features of the CP42LH but shrinks the footprint with a breakthrough-design that eliminates the need for external chillers,” Wrightson added. “The three CP42LH projectors we have installed so far in our premium auditoriums have given us an incredible competitive edge in the market,” said Luis Millán, owner of the Spanish cinema chain Odeon Multicines. “Our customers love the picture and really notice the difference in color saturation, clarity, brightness and higher contrast image quality. So we are looking forward to the launch of the CP4325-RGB with its innovative and compact form factor design that reduces system complexity and cost, while also providing a wide color gamut,” added Millán. “Department of Post is an innovative, agile and collaborative post-house, aiming to provide filmmakers access to the best technology the world has to offer,” said James Gardner, CTO, Department of Post. “In keeping with our mission, the Christie CP4325-RGB RealLaser projector is an essential addition to our facility, with exceedingly accurate colour rendition, vivid black and white contrast and overall brightness that enables us to promise our clients the highest possible quality projection of their work in a professional environment,” said Gardner. The Christie CP4325-RGB, like its fiber-coupled sibling – the Christie CP42LH – offers a wide color gamut exceeding DCI P3 specifications, enhanced contrast ratios and high frame rates (HFR) compatibility. The CP4325-RGB features Christie’s new CineLife Series 3 electronics and embedded cinema automation for streamlined playback, scheduling and content management. Field tested on more than 100 screens since 2014 with the next-generation Christie IMB-S3, the CineLife Series 3 electronics also provides backwards compatibility with existing Series 2 IMB architectures.